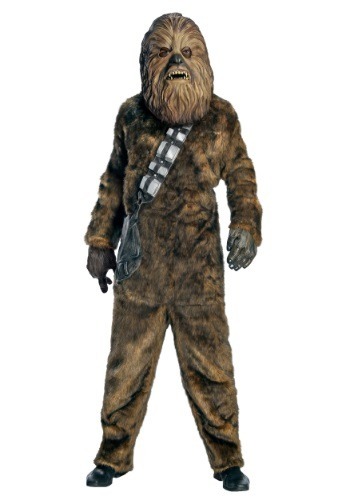 Become the galaxy's most famous Wookiee in this deluxe Chewbacca costume! 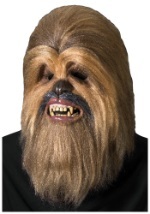 The adult Chewbacca costume is covered in synthetic hair and ties together around the neck. The back closes with a Velcro strip. A bandolier with a pouch to hold your personal belongings as well as a full detailed vinyl mask complete this costumeï¿½s authentic look. Join Han Solo on the Millenium Falcon in this deluxe Chewbacca costume!